Harmony is located in the heart of central Barrhaven on Strandherd Drive, just west of Greenbank Road. 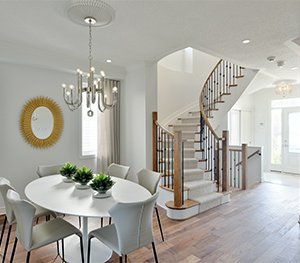 This community is a beautiful collection of Townhomes and Single Family Homes located within easy access to transit, shopping, and a new French school being built right in the community to serve its residents for years to come. Just down the road from Harmony, between Greenbank Road and Longfields Drive, Riversbend at Harmony is situated north of the Jock River. 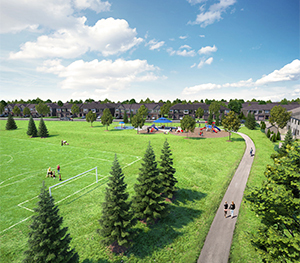 Offering Minto’s unique collection of Executive Townhomes on quiet streets close to ponds, parks, and trails — Riversbend is Harmony’s connection to nature. 36' Single Family Homes for sale in Barrhaven, Ottawa. 2-Storey Executive and Avenue Townhomes for sale in Barrhaven. Take a peek inside Barrhaven's upcoming community and get a taste for our contemporary home designs. With 2 great locations to choose from, Harmony & Riversbend at Harmony are perfect for your family.